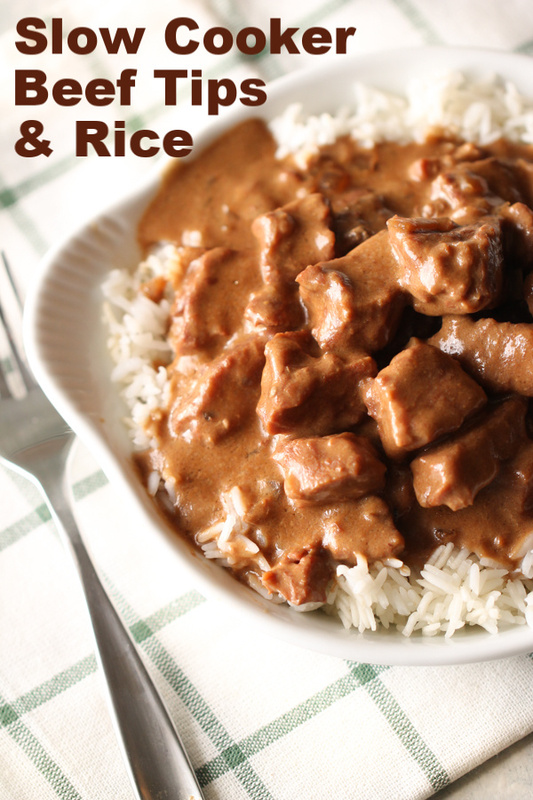 These Slow Cooker Beef Tips and Rice are amazing. 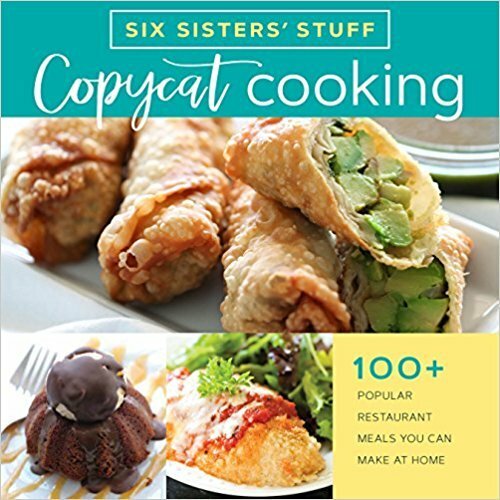 It is seriously a no fail recipe. Put the ingredients in a slow cooker and that's it! It is seriously that EASY. And did I mention that is tastes amazing and your house will smell so good? You are going to love this recipe. We love using our slow cookers. They are great for those busy nights when you know you won’t have time to stop in the middle of everything and cook dinner. Throw it all in earlier in the day, and you have an amazing dinner waiting for you. We used stew meat from the meat department at the grocery store. It’s already cut into bite sized pieces and is perfect for this recipe. They cook up tender and moist. 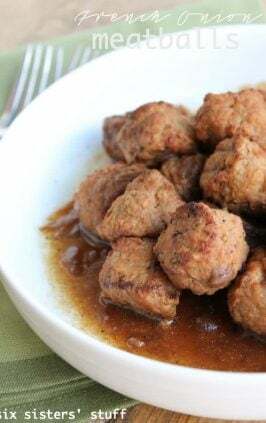 We love our Slow Cooker Beef Sirloin Tips and Gravy. It’s the ultimate comfort food and so easy to make. We usually serve it over mashed potatoes. 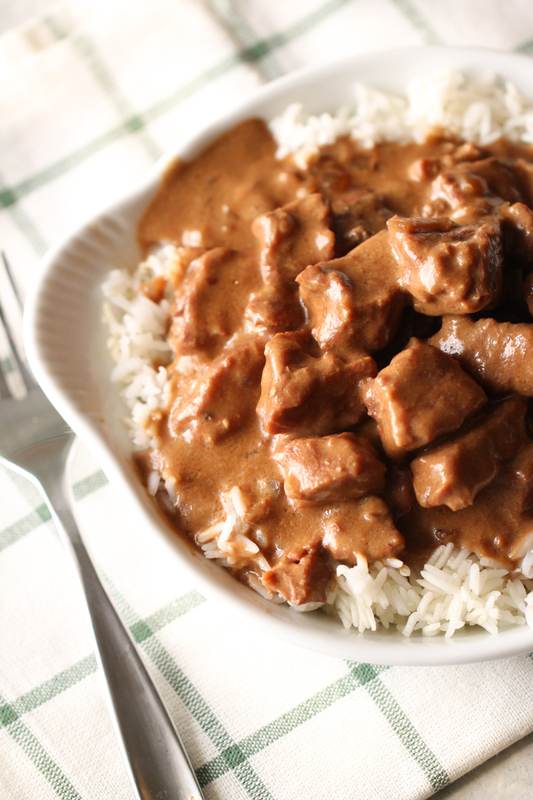 Slow cooker beef tips and rice is even easier, with fewer ingredients. We had it all in the slow cooker in less than 5 minutes. Then go about your day knowing a great meal will be awaiting that evening. 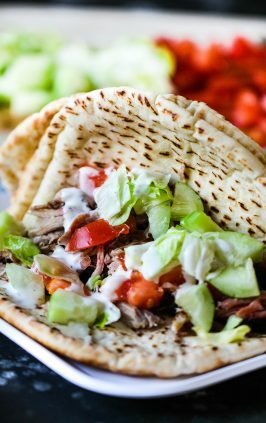 what other cuts of meat will work in this recipe? 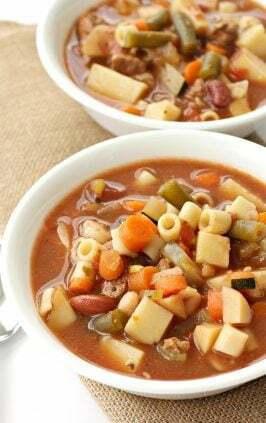 We used stew meat for this recipe. 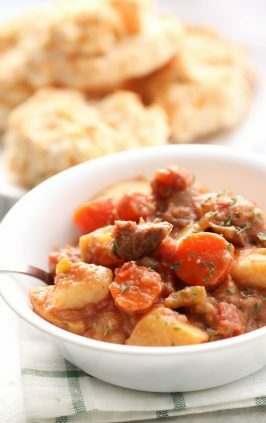 Stew meat is both tasty and convenient. 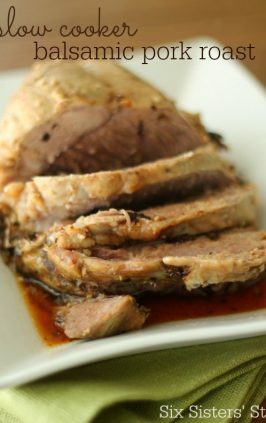 You could easily use Beef Sirloin Roast tips from the meat department. A sirloin steak cut into bite sized pieces would be great in this recipe too. We have even used a sirloin roast and cut it into pieces. If you have a favorite cut of beef and if it’s cut into small pieces, it will work in this recipe. What else can you serve these beef tips with? 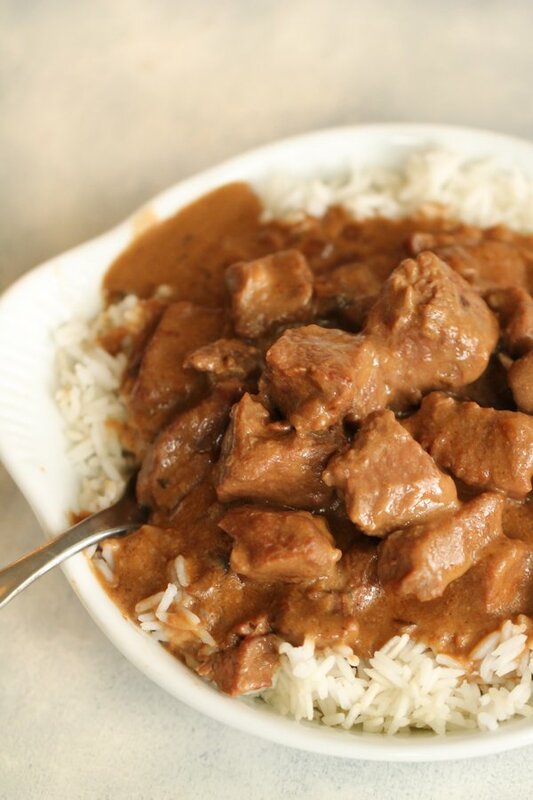 We like to serve these slow cooker beef tips over rice. Mashed potatoes would be another delicious option. 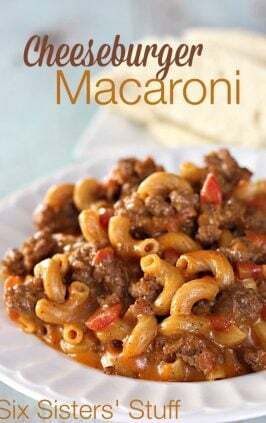 Any cooked pasta would be great with slow cooker beef tips. The options are endless. 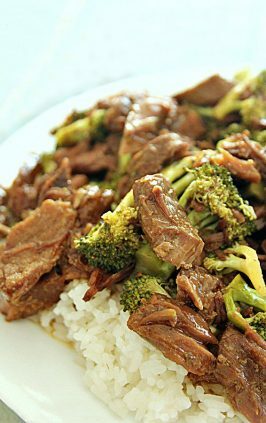 Would slow cooker beef tips work as a freezer meal? 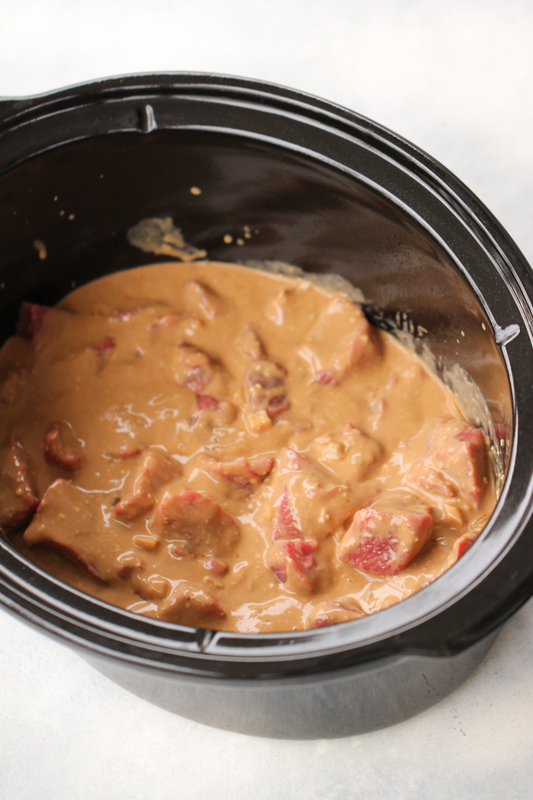 These slow cooker beef tips make an excellent freezer meal. You will want to prepare them as directed in the recipe. After they are done cooking, let cool and place them in an airtight freezer bag or container. Then thaw and reheat when ready to eat. You will need to prepare your rice, potatoes, or pasta right before serving. 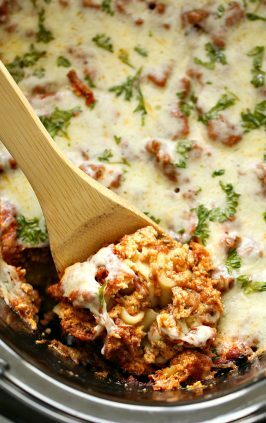 Another way to prepare this as a freezer meal is to follow the directions according to the recipe. 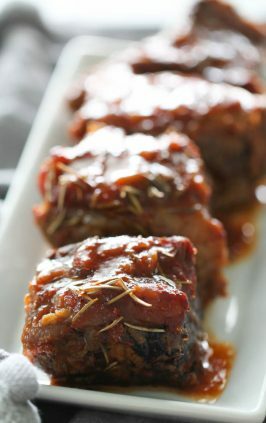 But instead of placing everything in the slow cooker, place them in an airtight freezer container or freezer bag. Freeze until ready to eat. Then thaw slightly and place in the slow cooker. Cook as directed on the recipe. Then prepare the rice or potatoes before serving. 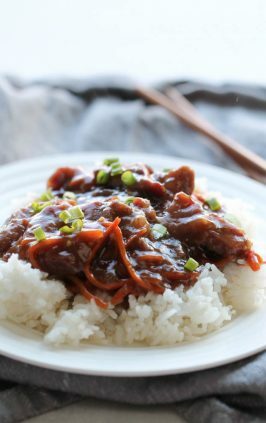 All you need for this amazing Slow Cooker Beef Tips and Rice are a few ingredients. Spray your slow cooker with non stick cooking spray and turn onto Low setting. Place the stew meat in the bottom of the slow cooker. In a microwave safe bowl add the beef bouillon cubes to the water and bring to a boil. 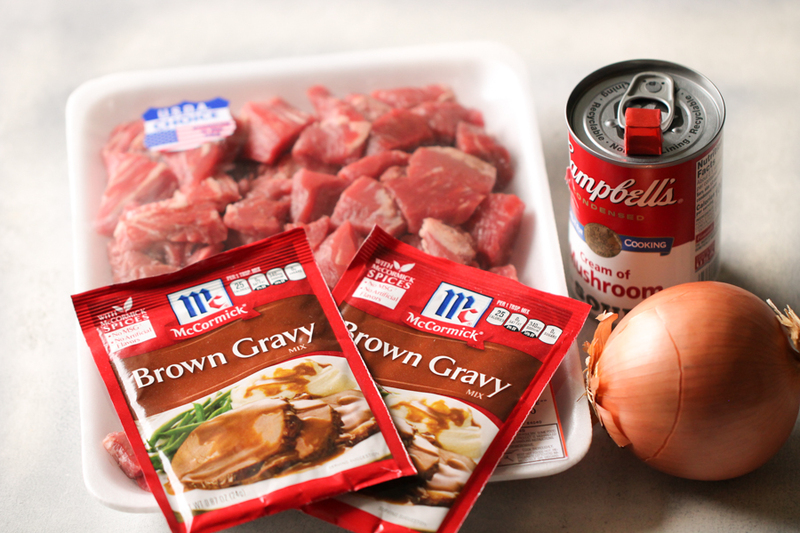 After the bouillon cubes are dissolved, add in the cream of mushroom soup, chopped onion, and brown gravy mix packets. Pour this mixture over the stew meat in the slow cooker. Stir in gently so all of the stew meat is covered. Cook on low setting for about 6 hours. 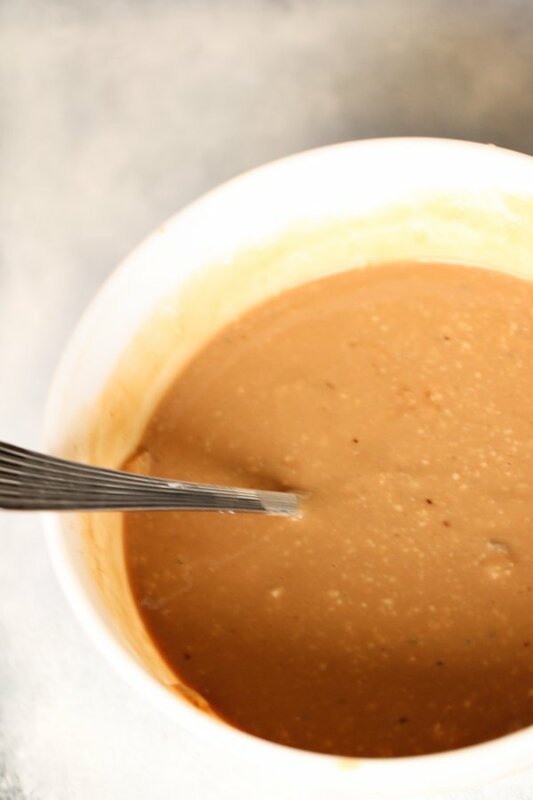 If you want the gravy a little thicker, you can easily thicken it with a Tablespoon of cornstarch. Rice Cooker – This makes the best rice to go along with your meat dishes. Spray slow cooker with non stick cooking spray. Turn onto Low setting. 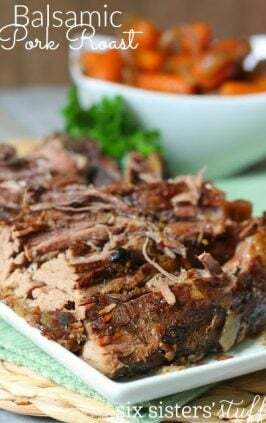 Place stew meat in the bottom of the slow cooker. In a microwave safe bowl add the water and 2 beef bouillon cubes. Bring to a boil in the microwave and then stir until cubes are dissolved. Then add in the soup, chopped onion, and gravy mix packets. Stir until combined and pour over the beef in the slow cooker. Gently stir until all the meat is covered. Cover with lid and cook on low setting for 6 hours. If you like the gravy a little thicker at the end of the cooking time, add in 1 Tablespoon of cornstarch. Please tell s how much water and how many bouillon cubes to use. Thank you! The full recipe is on the post. We just show you the quick instructions, but if you scroll down the ingredient amounts and directions are posted. Any suggestions for a substitution for the mushroom soup? I'm not sure if it's because you don't like the taste, or don't have any on hand. You could use cream of chicken soup and the recipe will still taste great.